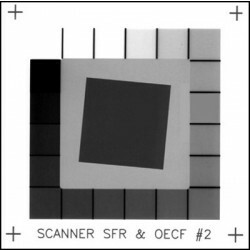 Used for determining reflective light resolution & imaging characteristics of digital scanning systems. Size 100mm x 152mm (4in x 6in); Designed to ISO-16067-1 specifications. 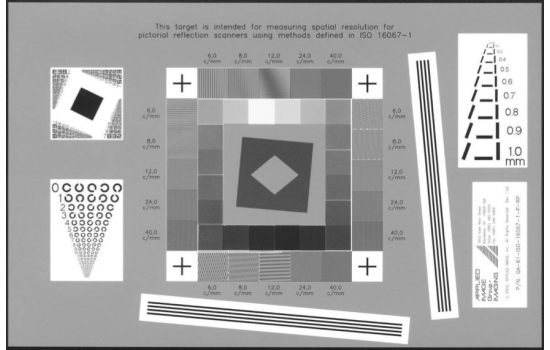 Includes Landolt Ring, alphanumeric resolution and slant edge charts; gray step patches, horizontal, vertical and slanted ronchi patterns (6 - 40 c/mm) plus the APPLIED T-100 Digital Electronic Pixel target.